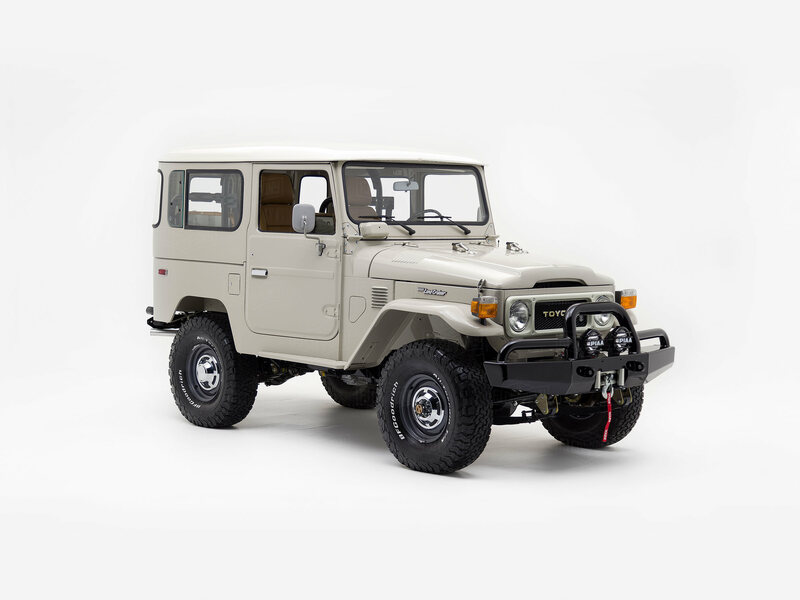 This Land Cruiser may have its share of plush materials, modern accessories and, yes, creature comforts, but it’s still the genuine article - wearing the same steel armor it's worn since day one. Clean pavement or dusty mountain road, this rig is ready for whatever lies ahead. Like a trusty pocket knife, this Land Cruiser has everything - the versatile tires to take you anywhere, LEDs to cut through the fog of night, and a heavy-duty front bumper with integrated winch, because it’s always better to be prepared. For those who are firmly in the “it isn’t about the horsepower, it’s about the torque” camp, the classic, yet capable Toyota 2F engine is sure to satisfy. We rebuilt this time-tested warrior and paired it with a 5-speed manual transmission. The revitalized 4-wheel drive and upgraded running gear, instill this classic rig with newfound confidence - and exceptional ride quality. This Land Cruiser’s painted steel dash, exposed bolts, and pull-knobs may bring back fond memories of an earlier time, but this isn’t your grandpa’s Land Cruiser. Among all of those retro-cool details you’ll find modern-day creature comforts: climate control, a premium stereo system, plush leather seating, and yes, Bluetooth.